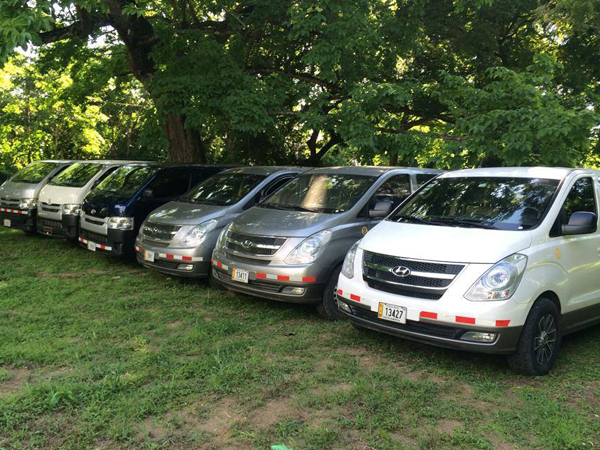 Nosara Transport features top-of-the-line vehicles that are rigorously inspected to ensure a safe and swift trip. 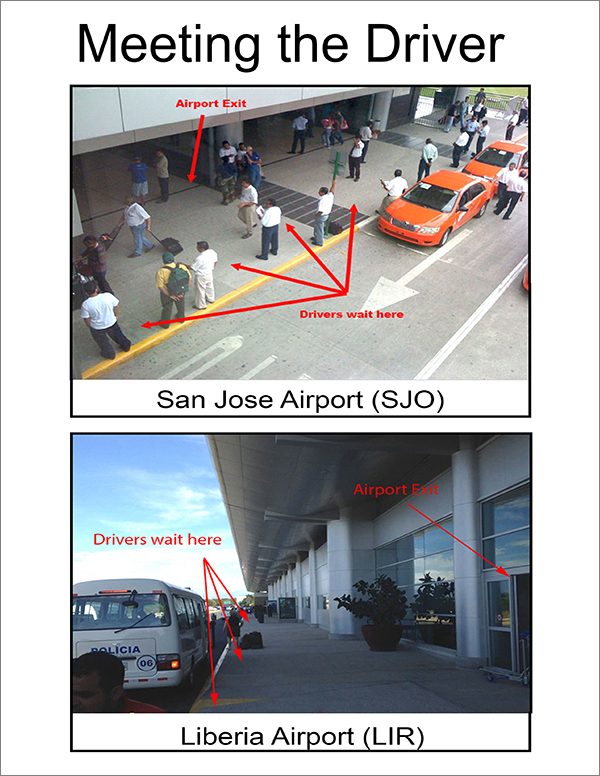 Our friendly drivers provide door-to-door service to the major airports. Avoid the hassles of the Taxi Stand by having your transportation arranged ahead of time. Move-out is at 10am and Move-in is at 2pm. However, we can make exceptions to work around your transportation schedule. Please let us know if you anticipate an early arrival or late departure. We may have to move your group from one our of properties to another in order to accommodate a pre-existing booking. This decision will be made at the beginning of the reservation process. 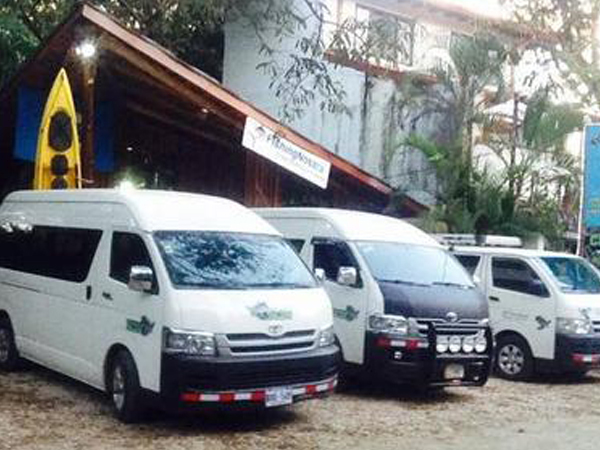 For your convenience the move will be performed by the Nosara Paradise Rentals staff. Our goal is to make the move as easy as possible. Moves will be performed between 10am and 2pm. 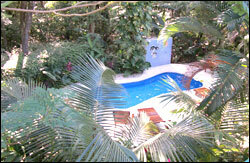 Nosara Paradise Rentals has hosted weddings, reunions, and corporate gatherings. We can help organize your dream vacation and advise you on lodging, transportation, and activity arrangements. Call us with your dreams and let our staff make them come true. 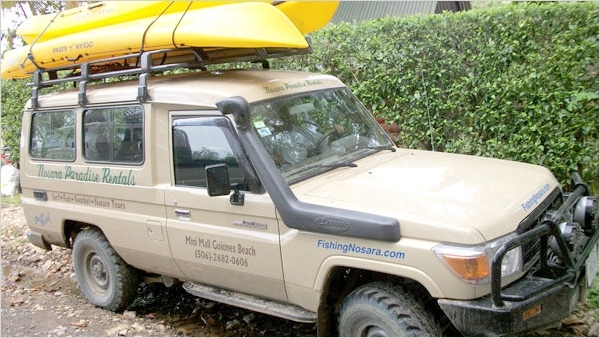 Looking for a unique custom fishing adventure, wedding fiesta, or large-group Safari Tour? Nosara Paradise Rentals is the best choice for custom vacations. ALL CREDIT CARD TRANSACTIONS ARE SUBJECT TO A 3% FEE. NO PROPERTY CAN BE CONFIRMED UNTIL BALANCE IS PAID IN FULL AND RENTAL AGREEMENT IS SIGNED AND RETURNED TO USA OFFICE. THE TENANT AGREES TO RENT THE ABOVE PROPERTY ON A DAILY/WEEKLY/MONTHLY BASIS AT THE RATE SPECIFIED FOR RECREATIONAL PURPOSES ONLY AND TO PAY SAID BALANCE 45 DAYS PRIOR TO ARRIVAL DATE. TENANT AGREES TO TAKE GOOD CARE OF THE RENTAL UNIT AND IS LIABLE FOR ANY DAMAGE TO THE PROPERTY, INCLUDING THE PAYMENT OF ANY CHARGES CAUSED BY STOPPAGE OF PLUMBING AND/OR DAMAGE TO OTHER FIXTURES, DOORS, WINDOWS, APPLIANCES, FURNITURE AND/OR UPHOLSTERY CAUSED BY IMPROPER CARE OR MISUSE OR BY UNAUTHORIZED PETS. TENANT AGREES TO RETURN ALL KEYS IMMEDIATELY UPON VACATING THE PREMISES TO THE NOSARA PARADISE RENTALS COSTA RICA OFFICE. FAILURE TO DO SO WILL RESULT IN $150 CHARGE PAYABLE IMMEDIATELY. TENANT AGREES NOT TO USE THE PREMISES FOR ANY AND ALL IMPROPER PURPOSES NOR PERMIT ANY DISTURBANCES TO THE SURROUNDING INHABITANTS, NEIGHBORS, OR NATURE PRESERVE. CANCELLATIONS MADE MORE THAN 45 DAYS FROM ARRIVAL DATE ARE SUBJECT TO FORFEITURE OF ALL DEPOSITS PAID UP TO THAT POINT. CANCELLATIONS MADE LESS THAN 45 DAYS BEFORE ARRIVAL DATE ARE SUBJECT TO FORFEITURE OF ALL MONEY PAID. IF NOSARA PARADISE RENTALS RENTS YOUR CANCELLED UNIT FOR THE ORIGINAL DATES, THE RESPONSIBLE TENANT WILL RECIEVE A CREDIT FOR ALL MONEY PAID UP TO THAT POINT LESS A $150 PROCESSING FEE. THIS CREDIT IS NON-TRANSFERABLE AND IS VALID FOR 1 YEAR AND MAY NOT 8E USED 14 DAYS BEFORE NEW YEARS DAY OR EASTER. CANCELLATIONS MADE LESS THAN 10 DAYS FROM ARRIVAL DATE ARE SUBJECT TO NO REFUND AND NO CREDIT. 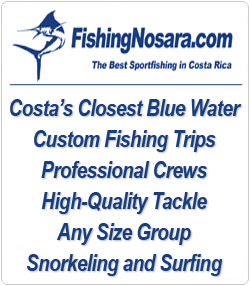 NOSARA PARADISE RENTALS, FISHING NOSARA, ITS REPRESENTATIVES, AGENTS, AND EMPLOYEES ASSUME NO LIABILITY. ALL LIABILITY ISSUES ARISING IN COSTA RICA ARE SUBJECT TO COSTA RICAN LAW.